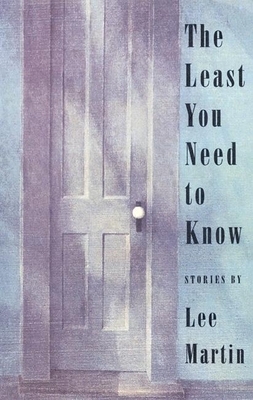 Lee Martin's own distinctive voice has the qualities of his favorite setting: the commonplace and middle-class turned over with a searchlight of want and need to know. Morticians and insurance men, salesmen and farmers; women hoping to make life more beautiful and less pressing with delicate, bewildering hobbies and necessary flirtations; boys who veer from shame to pride, from decency to irredeemable wrongs, in an afternoon; people who do not quite recover, during the time of our acquaintance, but do not give up gracefully. Lee Martin was born in Illinois. He earned his MFA from the University of Arkansas, and his Ph.D. From the University of Nebraska-Lincoln. His stories have been widely published in journals including The Georgia Review, Story, Double-Take, New England Review, Prairie Schooner, and Glimmer Train Stories. He received a Nebraska Arts Council Fellowship in Fiction (1995) as well as Individual Arts Fellowships in Fiction from the Ohio Arts Council (1987) and the Tennessee Arts Commission (1989).